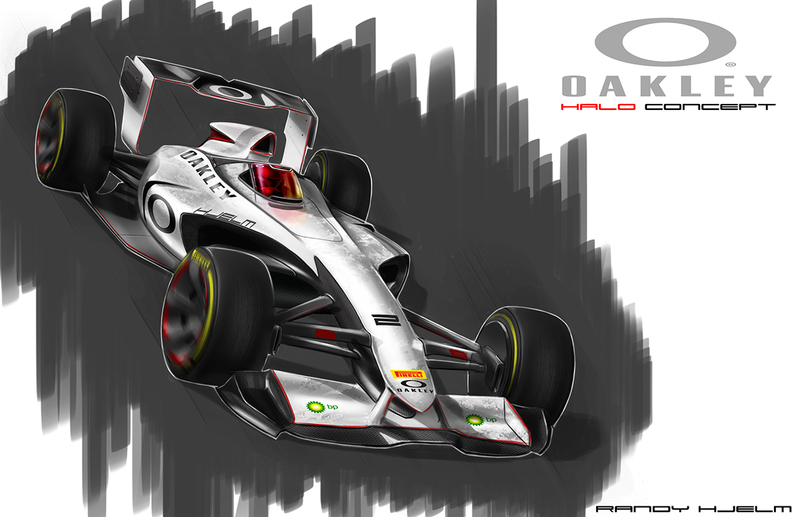 Formula 1 halo concept designed to protect the drivers head. This particular design utilizes Oakley X metal and ballistic lens technology. These materials will provide the strength and protection for high speed impacts. Also they are easy to make aesthetically pleasing.